Wow, what a top weekend! The first thing we love about this festival is that it’s right on our doorstep, it literally is just five minutes in a taxi away, or as experienced last night, a drunken walk home. 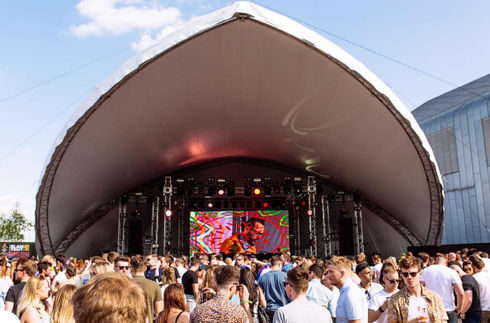 After the top shenanigans of Saturday, where the lineup included Sven Väth, Ben Klock, Rødhåd, Laurent Garnier and SLAM, Day Two had a lot to live up to and thankfully it didn’t let us down. We got there just in time to hear Dimitri From Paris’ set, which was just perfect for the blazing sunshine that complimented the festival all weekend. 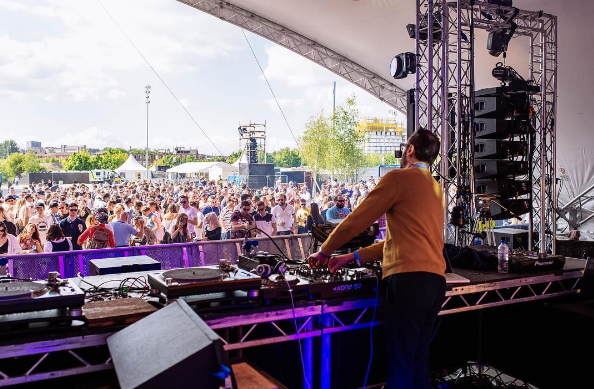 As you would expect from DFP, his set was a mix of classic tunes all with a 4/4 beat behind them and included tracks from Sister Sledge, Wham and Prince, all of which received a great response. With the Subclub playing host on their stage beside the River Clyde, you knew the majority of the crowd were waiting to hear the closing set from Fatboy Slim and by the time he appeared just after 9.30pm, the main stage area was absolutely rammed. Sunday had sold out in advance and you knew everyone was ready and up for a Fatboy journey. With two big video screens and extra sound in to compliment his audio visual show, Fatboy took the crowd on a pre-prepared journey of mashups and flashing video images, dropping in samples of popular tracks throughout his set. As a visual experience, it was fantastic and was topped off by a flyby above the stage from the International Space Station just after 10.30pm. How the heck did they pull that one off? What an amazing weekend. Love this festival and can’t wait until next year. Our advice, if there are any early bird ticket offers, grab yours now. Check out some of Room Two’s live broadcasts from last night here.